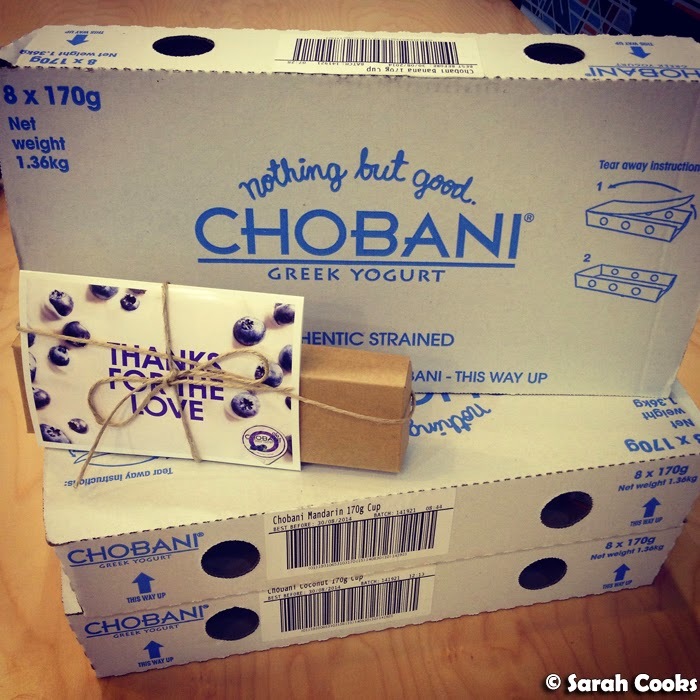 I started the month with a surprise delivery from Chobani - they gifted me three boxes of the new Chobani flavours (mandarin, banana, and coconut - all 2% fat) for taking part in that market research event thing I told you about in my June Unblogged Files. I don't normally like fruit yogurt, finding it too sweet, but Chobani is so wonderfully tart that it balances out the sweet fruit. I also liked the extra creaminess from the 2% fat yogurt, rather than the 0% that I normally buy in giant tubs. So I didn't really make many different breakfasts this month - it was either a tub of Chobani, sliced Barham avocados on toast (see my Avocado Chocolate Marble Pound Cake post for more pics), or the pound cake itself. We went to see Twisted Broadway at the Arts Centre (such a fantastic show! 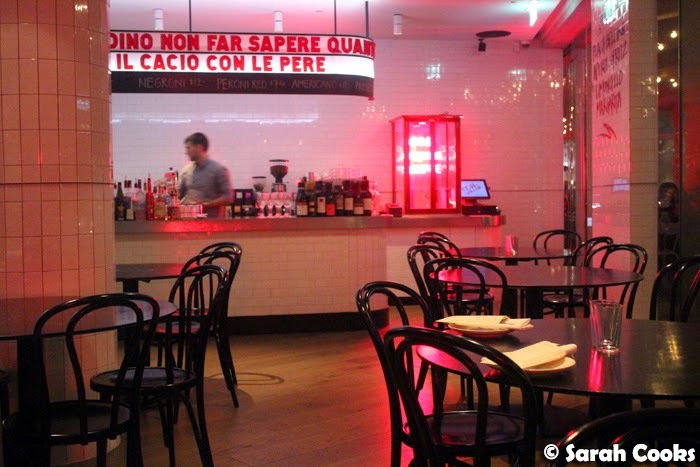 ), and I took the opportunity to have dinner at Fatto Bar & Cantina (River Terrace Hamer Hall, 100 St Kilda Road, Melbourne 3000) beforehand. Pretty views, $7 aperitivi and tasty Italian food - I loved it! Blogpost to come. 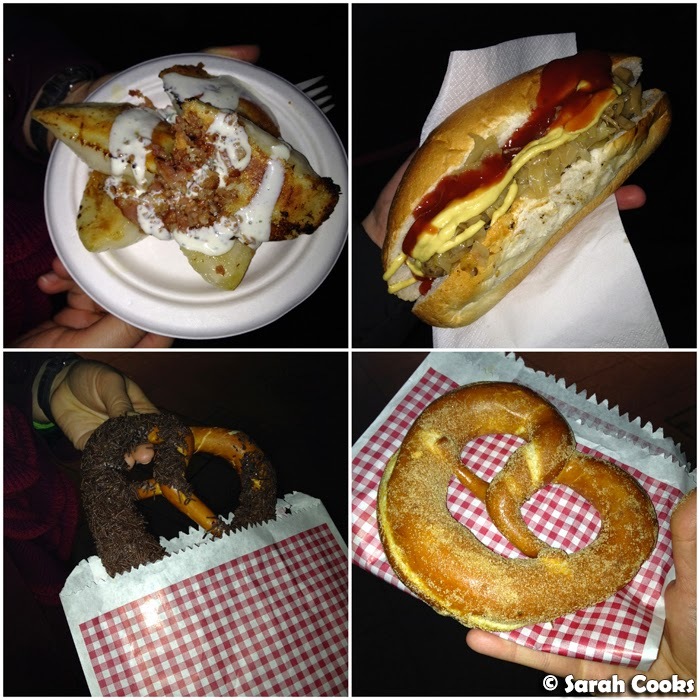 One Friday night, we went to the European Night Market at Madame Brussels Lane, and to be honest it was a pretty disappointing experience: $8 gristly Bratwurst, $8 Glühwein (in tiny cups and not very nice), and cold pretzels from the Brezel Biz stand. (Brezel Biz make good pretzels, but they were cold and barely had any flavours available). The pieroggi with sour cream and bacon from the Polish stand were great though! There was also a flamenco band, who were really good, but not fitting in with the theme at all. I caught up for brunch with the lovely Daisy and Ricky at Stagger Lees (276 Brunswick Street, Fitzroy 3065). 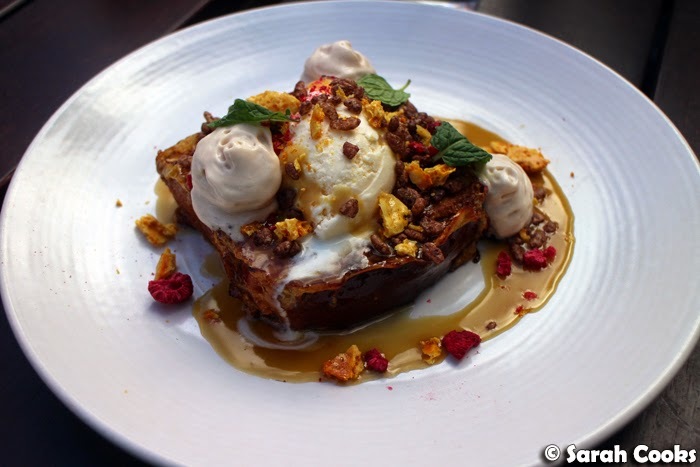 The Coco Pop and Salted Caramel French Toast there was amazing! Daisy's actually blogged it today so you can read about the visit at her blog. Another night, I went to The Town Mouse (312 Drummond Street, Carlton 3053) for a group dinner with some food blogger / photographer friends and a lovely visitor from interstate! Between the seven of us, we managed to try most of the menu (including five - count 'em - five cabbage-based dishes). 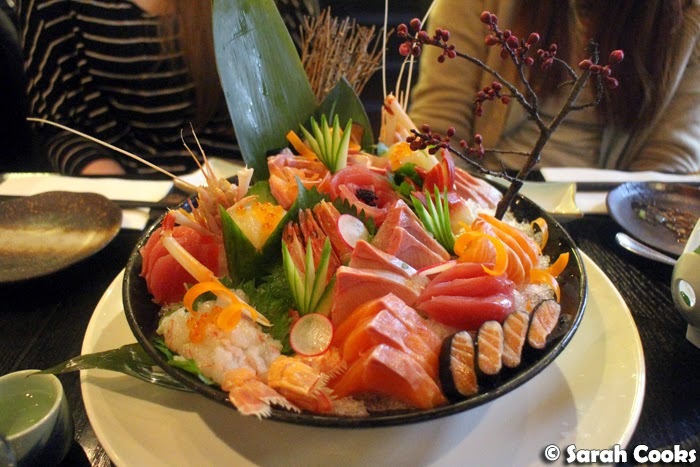 It was a super fun night, and overall the food was very good, so I'll be blogging the dinner soon. 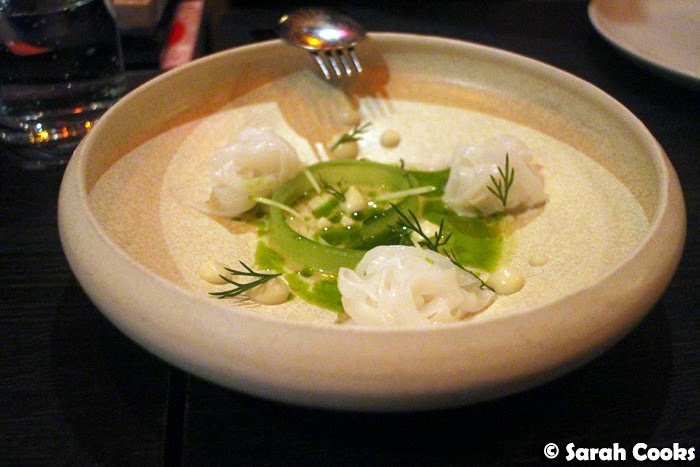 I was particularly impressed with this delicate dish of raw, finely shaved calamari, oyster cream, dill and fermented apple juice. 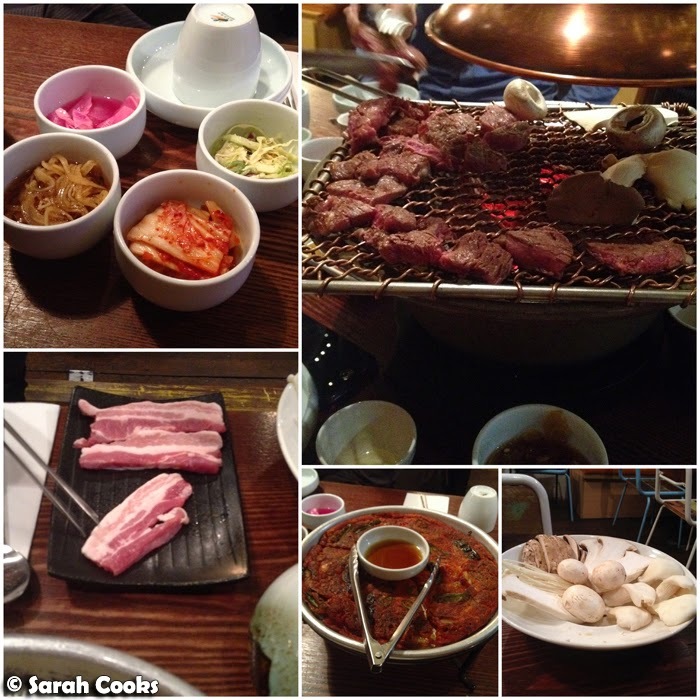 I did a mid-week dinner with some co-workers at G2 Korean BBQ (301 Elizabeth Street, Melbourne VIC 3000), where we ate All Of The Banchan and pork belly! And the next day, I was still in the mood for Korean, so went for lunch at By Korea (1/222 La Trobe Street, Melbourne VIC 3000). 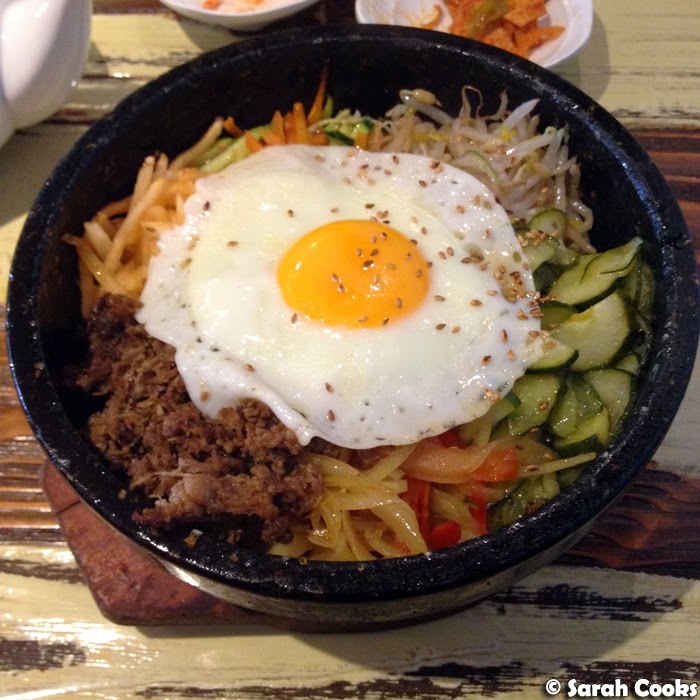 The beef bimbimbap was so amazing! I loved all the crusty rice at the bottom, and despite the gigantic serving I inhaled the entire bowl Rar! So like I said, I went to heaps of blog events in August. (Disclosure: these were all complimentary invites). Let me know if any sound especially interesting and I will try to prioritise writing them up! 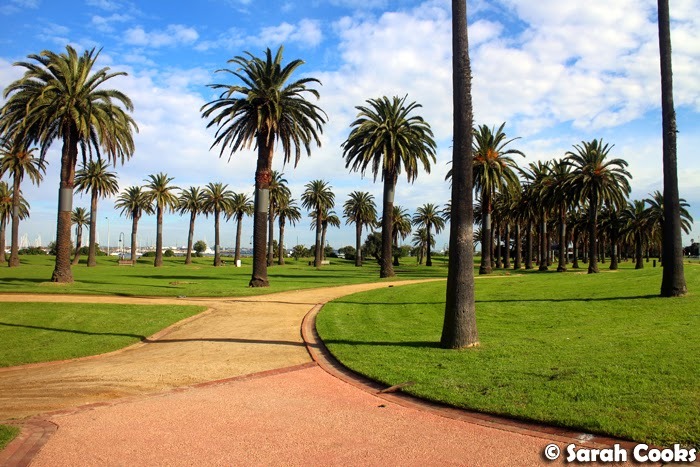 I took part in St Kilda Food-Focussed Amazing Race: a great event organised on behalf of the St Kilda Tourism Association, where a group of bloggers spent a whole day exploring different food and drink venues in St Kilda, including Di Stasio, Babu Ji, Milk the Cow, Monarch Cakes and more! 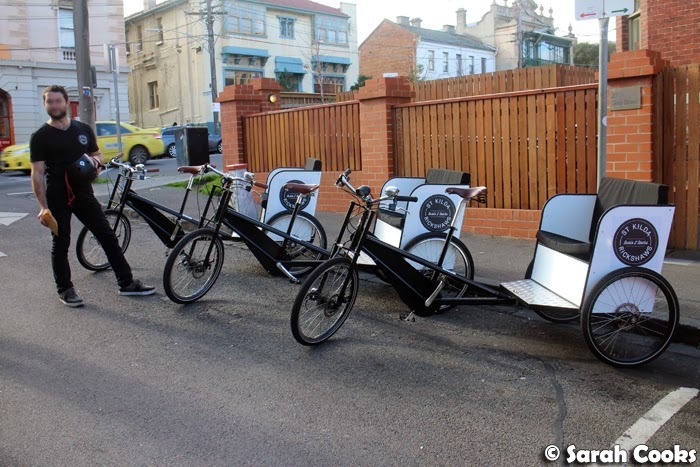 And we got to travel from place to place in these funky St Kilda Rickshaws. So much fun! ...and the really indulgent foie gras and truffle hot pot. It was so aromatic and rich! A wonderful once-in-a-while treat. One sunny weekend, Sandra and I travelled down to Mornington for a Gumboots and Raincoats Long Lunch Party. 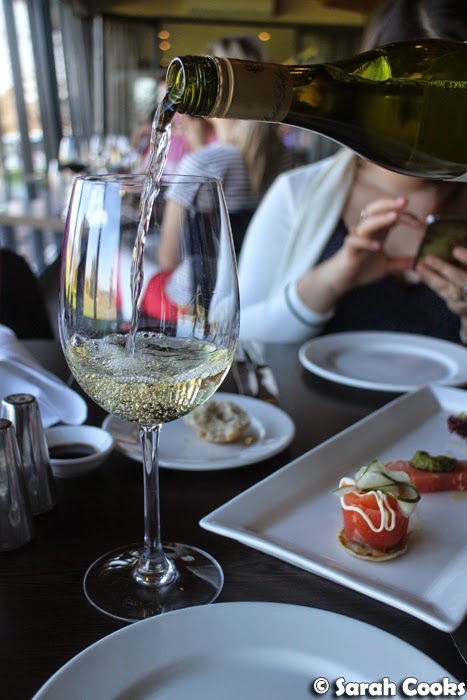 This long lunch was held at Green Olive in Red Hill, and the menu featured producers from across the region: Montalto wines, La Petanque, Max's at Red Hill Estate, Mornington Peninsula Brewery and more! The food was delicious, and I thought the table setting was just beautiful. 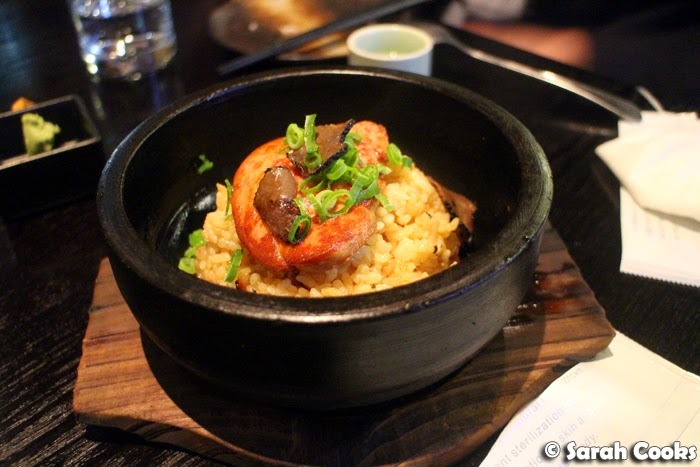 Another event was the Meatmaiden preview dinner (195 Little Collins Street, Melbourne VIC 3000). 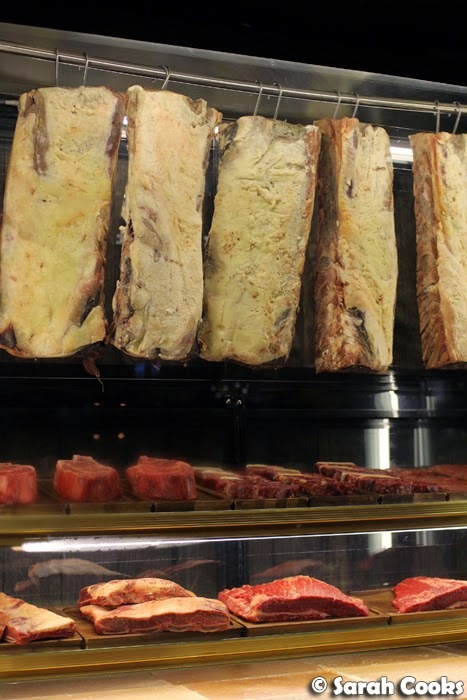 This is the new restaurant from the owners of Meatmother, with the same passion for all things MEAT, but with a broader menu and a slightly more upmarket offering. 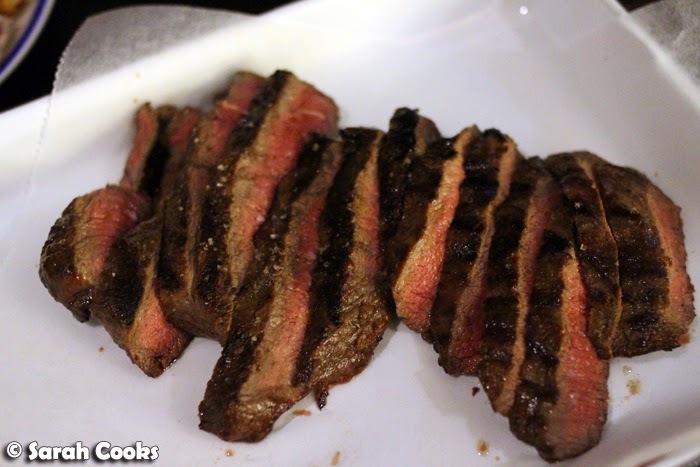 Most of the items we tried were very good, but I particularly liked the O'Connor pasture-fed flat iron steak, which was incredibly juicy and flavourful. I'd happily eat one of those with a small bowl of salad as a meal in its entirety! A fun evening was the launch of Polé Polé (267 Little Collins St, Melbourne VIC 3000) a new African-themed bar in the CBD that's taken over the space where Tony Starr's Kitten Club used to be. At first, in the back of my mind I was worried it might be a bit of a caricature or an example of thoughtless cultural appropriation for profit, (I am uber sensitive to stuff like that), but I'm very glad to say this wasn't the case! The bar theme was inspired by owners Dean and Jeanelle Mariani's travels through East Africa, and whilst chatting to them at the launch, their passion and respect for the people and places they visited were obvious. The African motif is subtle - it's still very much a Melbourne bar, with some African influences. You can get African beers and ciders (my fave: Kenyan Tusker Lager), and the food menu is inspired by Dean and Jeanelle's travels. 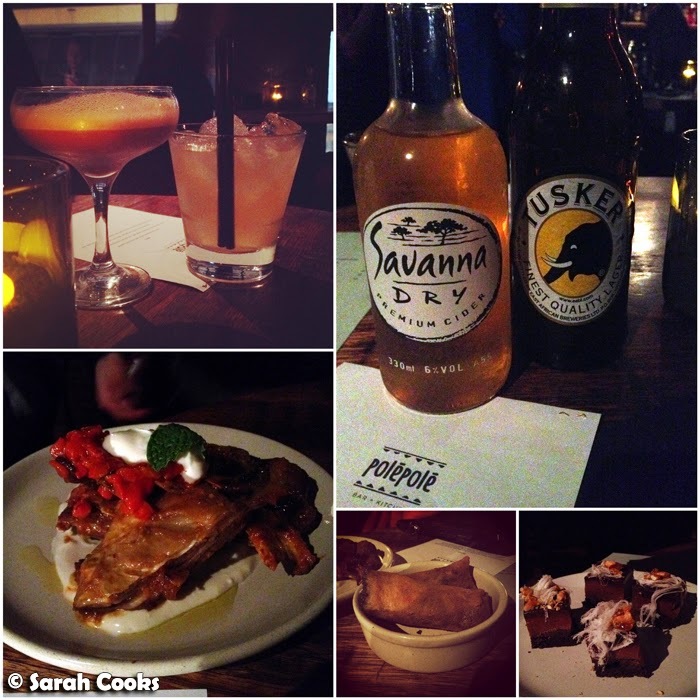 (The super juicy and tender lamb ribs were a highlight, as were the meaty and crispy pulled pork cigars). On a side note, I'm glad someone revamped Tony Starr's - I remember visiting in 2012 (See my August 2012 Unblogged Files), having espresso martinis and chicken "satays", and thinking "Wow, this is a little blast from the past!" Hehe. 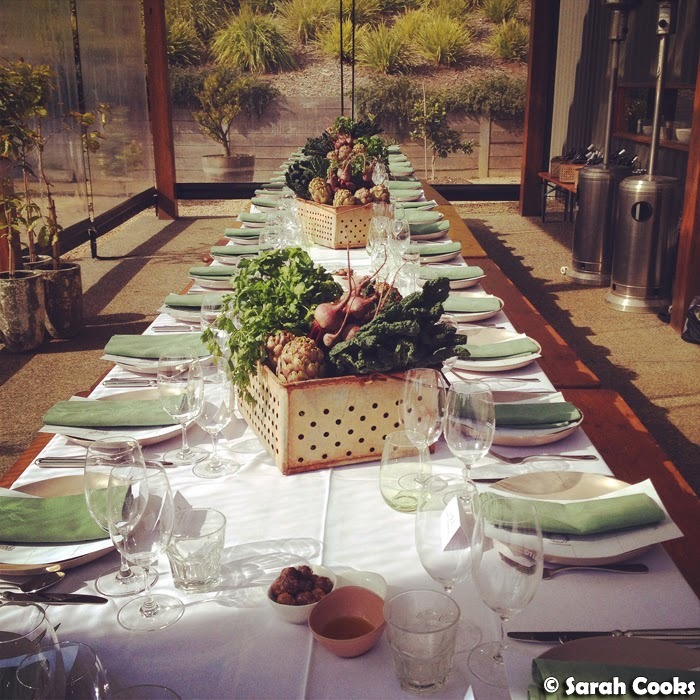 And the last event I wanted to tell you about was lunch at Rae's Restaurant at Balgownie Estate in the Yarra Valley. It was a gorgeous day, and we enjoyed a wine tasting (my fave: the 2010 Balgownie Estate Viognier), and a delicious lunch. You can (just) see the smoked salmon tasting platter in the below picture: cold-smoked salmon on buckwheat blini and Yea Dairy crème fraiche; cold-smoked salmon with gravlax soy mayonnaise; and hot smoked salmon with salsa verde. Blogpost to come. So with all those events and dinners, we didn't cook much at home, and even when we were at home, we were sometimes so knackered that we relied on frozen pizzas and oven chips - whoops. 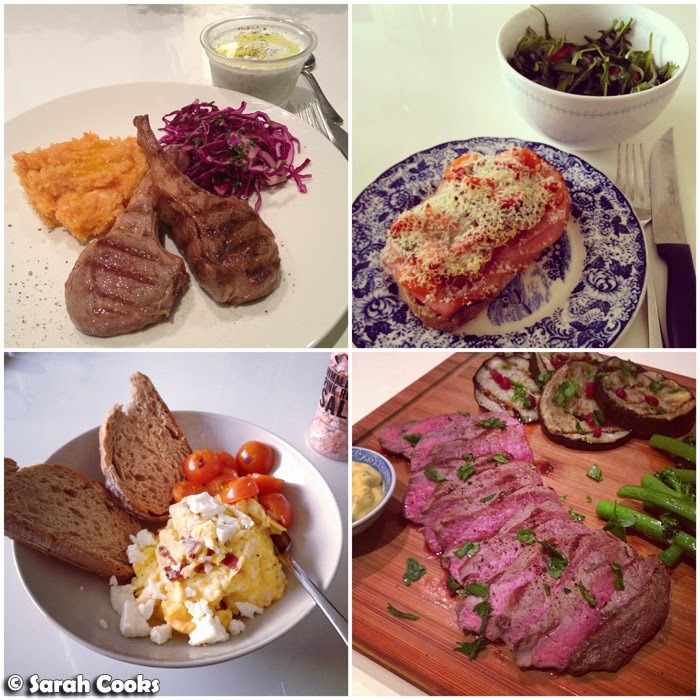 There were a few home-cooked meals worth mentioning though! 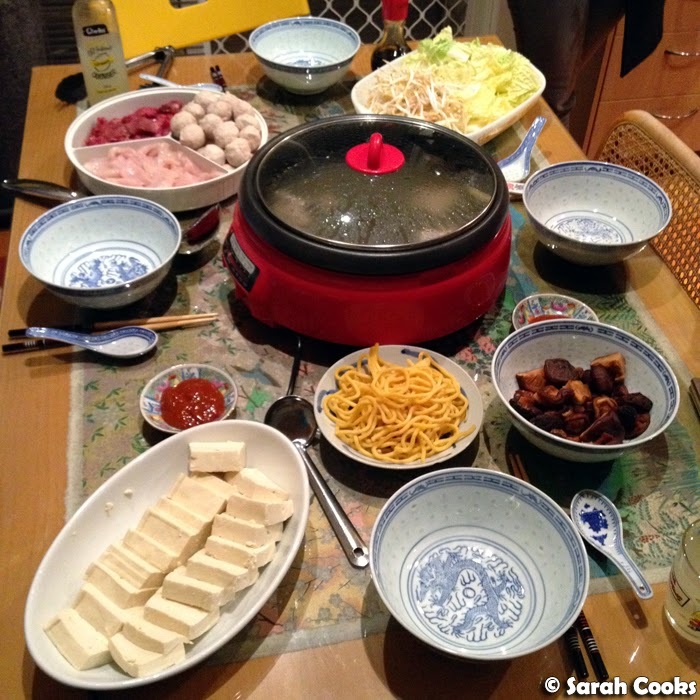 We also did steamboat at my parents' house one night. Love it. 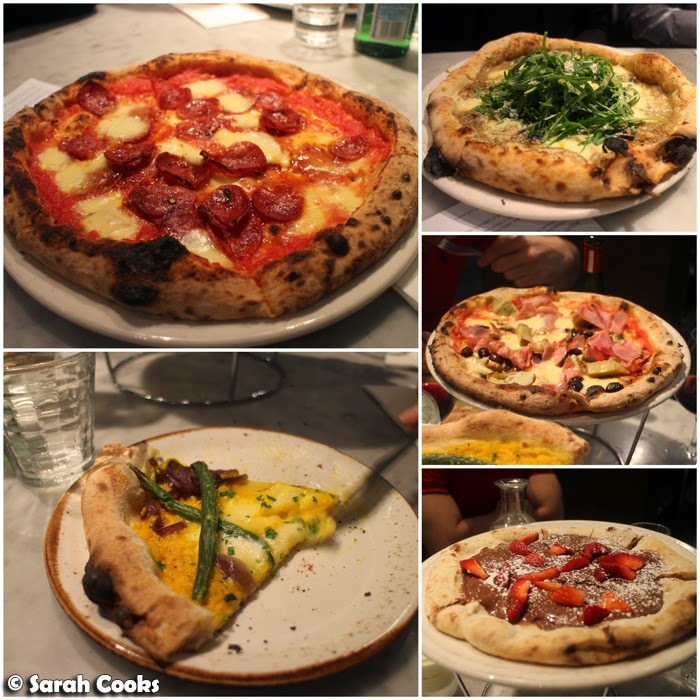 Finally, tonight we farewelled a coworker who was visiting us from overseas, with dinner at +39 Pizzeria (362 Little Bourke Street, Melbourne VIC 3000). I'd visited once before, a few years ago, and remember enjoying the food, but being really put off by the abrupt service. This time, however, the service was really friendly, and we all had a great time. (The online booking system also worked a treat!) My Diavolo pizza, with Italian tomato salsa, fior di latte, hot salame & chilli ($19.50) was so great! September plans? I'm going to try and keep things low-key - work, gym, family, just a couple of events and social engagements, and a very special dinner at one of Australia's most famous restaurants! Can't wait! So much delicious food! I really like Tusker beer as well (back in my alcohol drinking days) - it's a really light beer that just goes with everything really well. I love that table setting at Green Olive - just gorgeous. Love how organised you are with these unblogged files! Meat Maiden sounds carnivorously good!